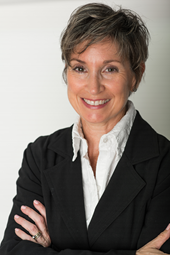 Dr. Vallone was the chair of the Department of Childhood Studies from 2008 until 2011 and again from 2013-2016. She is the author of Big and Small: A Cultural History of Extraordinary Bodies (2017, Yale UP), Disciplines of Virtue: Girls’ Culture in the Eighteenth and Nineteenth Centuries (1995, Yale UP) and Becoming Victoria (2001, Yale; a cultural biography of the young Queen Victoria) and the co-editor of The Norton Anthology of Children’s Literature (2005, Norton), Virtual Gender: Fantasies of Subjectivity and Embodiment (U of Georgia P), The Girl’s Own: Cultural Histories of the Anglo-American Girl, 1830-1915 (1994, U of Georgia P), and The Oxford Handbook of Children’s Literature (2011, Oxford UP). In 2011, The Oxford Handbook of Children’s Literature was awarded the Children’s Literature Association’s best edited book prize. She is general editor of the Palgrave series Literary Cultures and the Child. Her current work historicizes the cultural and political identities of the fetus. Children’s literature and culture, the visual and material cultures of childhood and girlhood, and the Victorian Age. Big and Small: A Cultural History of Extraordinary Bodies. Yale UP, 2018. 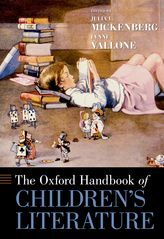 The Oxford Handbook of Children’s Literature, co-edited with Julia Mickenberg. Oxford UP, 2011. 608 pp. Paperback, 2012. The Norton Anthology of Children’s Literature, Jack Zipes, general editor; Lissa Paul and Lynne Vallone, associate general editors; Peter Hunt, Gillian Avery, sub-editors, 2005. 2,471 pp. Becoming Victoria. Yale UP, 2001. 256 pp. Virtual Gender: Fantasies of Subjectivity and Embodiment. Co-editor, with Mary Ann O’Farrell. U of Michigan P, 1999. 255 pp. Disciplines of Virtue: Girls’ Culture in the Eighteenth and Nineteenth Centuries. Yale UP, 1995. 230 pp. The Girl’s Own: Cultural Histories of the Anglo-American Girl, 1830-1915. Co-editor, with Claudia Nelson. U of Georgia P, 1994. 296 pp. “The Place of Girls in the Traditions of Minstrelsy and Recitation.” International Research in Children’s Literature10.0 (2017) 39-58. “History Girls: Eighteenth- and Nineteenth-Century Historiography and the Case of Mary, Queen of Scots.” Children’s Literature 36 (2008): 1-23. “Retelling World War One as Alternate History and Technological Fantasy in American Children’s Literature.” The Image of the Child in Chinese and American Children’s Literature, eds. Claudia Nelson and Rebecca Morris. Ashgate (2014): pp. 197-207. “Doing Childhood Studies: The View From Within.” The Children’s Table: Childhood Studies and the Humanities, ed. Anna Mae. Duane. U of Georgia P (2013): 238-254. Title TBD, Invited keynote speaker, International Girls Studies Conference, Notre Dame, Indiana, February 28-March 2, 2019. “The ‘Impossible’ Fetus.” International Research Society for Children’s Literature, Toronto, Canada, August 2017. “Extraordinary Bodies in American Children’s Literature: The Dwarf Child.” Society for the Study of American Women Writers Conference, Philadelphia, November 2015. “’Be helpful, build on sound principles; do everything the right way’: the Meccano Magazine and Middle-Class Boy Culture in Britain, 1930-1945.” International Research Society for Children’s Literature. Worcester, UK. August 2015. Invited participation in Childhood Studies curriculum retreat (with the Open University, UK and Linköping University, Sweden), Open University, October 16-17, 2014. Invited facilitator at one-day workshop, “Building Childhood Studies.” Bridgewater State University, Bridgewater, MA, March 2014. “Reproductive Science in the 18th-century Novel: The Microscope and the Homunculus.” American Society for Eighteenth-Century Studies. Williamsburg, VA, March 2014. Invited talk at University of Texas, “Doing Childhood Studies.” February 13, 2013. Invited talk at University of Linköping, Sweden: “Judging ‘Normalcy, Goodness and Beauty: Size and Scale in (Western) Literature, Popular Culture and Art.” September 2012. “Children’s Literature Through Many Voices: A Conversation about Childhood Studies Today.” Children’s Literature Association Conference, Boston, MA, June 2012. Page last updated by Department of Childhood Studies at 9:39 am October 4, 2018 . This page was printed from http://childhood.camden.rutgers.edu/faculty/vallone/ at 3:49 AM Friday, April 26, 2019.